Medical Spelling Dictionary for Word is a word-list of over 100,000 medical terms. The App installs this extra wordlist as a custom dictionary for Word. This allows you to see at a glance which medical terms are spelled correctly and which are not. No more red squiggly lines under something that is spelt correctly…! 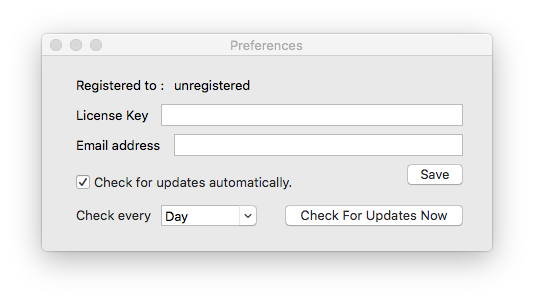 Because Mac Word does not ship with words tailored to the medical and health community many words are marked as incorrectly spelt. It can be hard to see which words you have actually mis-spelt. No more having non-correct words error-flagged. Or have Word fail to suggest the correct word. With this dictionary you will no longer have to hunt through the mass of words under-lined in red to find out which words are spelt incorrectly. Medical Spelling Dictionary for Mac Word will help you save time writing. So you can use this time for others. 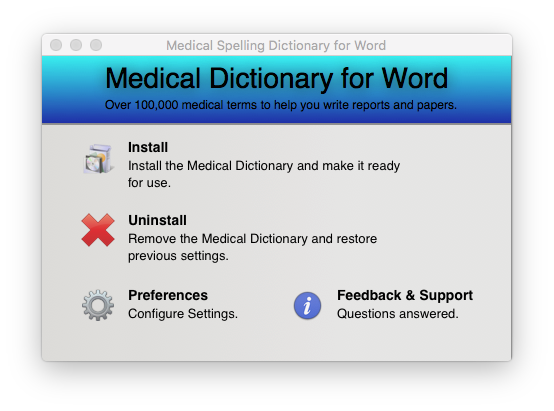 Download the Medical Dictionary for Word installer to your Mac. Run the Medical Spelling Dictionary for Word Application. Enter your address to download the Medical Spelling Dictionary for Mac Word. However, you will need to buy a license to use this App.